Hall of the Mountain King: Still Spinning: Ozzy Osbourne, "No Rest for the Wicked"
For whatever reason, I never connected with the Jake E. Lee version of Ozzy’s band. I still think Bark at the Moon is a very, very overrated record. To this day, there are only a few songs from it that make their way into my playlist. Then came The Ultimate Sin, which was a different animal. I actually really like that one, but it’s definitely of its time in the big hair portion of the late 1980s, and it’s one of the few Ozzy albums that feels really dated to me. We needed a little more spice, and we got it. Wylde announces his presence to the world on the first track and lead single from the album, “Miracle Man,” with a wicked sounding riff that establishes his style and sets the tone for the rest of the record. TV preachers are an easy target and, in those days, were a favorite subject for metal bands — but Wylde’s screaming riff, punctuated by his trademark pinch harmonic squeals, raised this one above the average, and more importantly, it was like nothing that we’d ever heard from Ozzy before. That same energy carries throughout the record, notably on my favorite track, “Tattooed Dancer.” I can’t listen to the song without cranking it up, and the manic guitar riff remains one of my favorites from Wylde. But it wasn’t always the wild riffing and shredding that caught our attention. 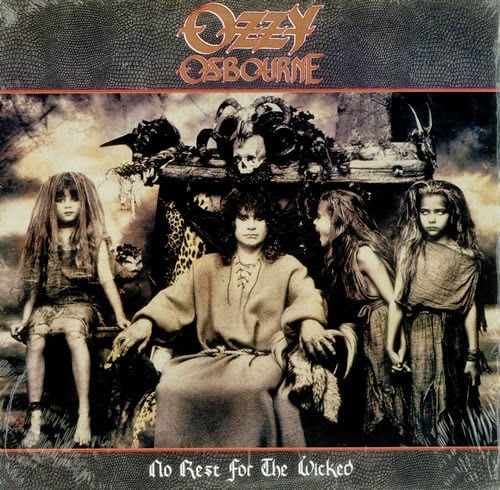 Probably the most well-known song from No Rest for the Wicked is also one of the simplest from a guitar standpoint, “Crazy Babies.” The E-D-A progression of the main riff can practically be played with one finger, and then Wylde throws in a G squeal to top it off, but it’s a catchy riff and gives Ozzy some breathing room to deliver a crazed-sounding vocal that fits perfectly. Likewise, the sliding power chords of “Breaking All the Rules” can be played by pretty much any novice, but it has such an ominous, almost Sabbath-like sound, that it remains a favorite from the record. 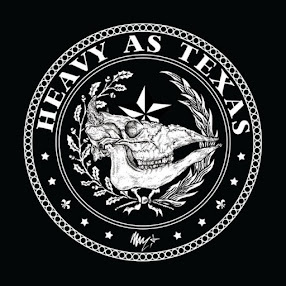 Though the whole record is wilder and heavier, it’s one of the few truly dark numbers. It’s joined, surprisingly, by the soaring semi-ballad “Fire in the Sky,” which has such a forlorn tone for a fairly heavy song. It has to be said that, lyrically, this is probably not the best of Ozzy’s records. There’s the TV preacher song and a tune about Charles Manson (“Bloodbath in Paradise”) that are both fairly cliché metal topics. “Demon Alcohol” definitely doesn’t have the same style as its counterpart “Suicide Solution” from Blizzard of Ozz, and as much as I like “Tattooed Dancer,” I have to admit that it’s not exactly poetry. That said, Wylde’s guitar work and the much-needed infusion of excitement that he brought to the project carries it through. The 17-year-old kid blasting No Rest for the Wicked through the little tinny four-inch speakers in his truck in the school parking lot thought it was one of the coolest things he’d ever heard. A lot has changed f or that kid in 25 years, but one thing hasn’t: No Rest for the Wicked is still blasting out of my truck speakers, and I still think it’s one of the coolest records I’ve ever heard.